To ny has lived on the streets since he was kicked out of his home at 14 years of age, almost 40 years ago. Chronic homelessness has taken a toll on his mental and physical health and his trust in people is rare. “I am trying to have hope at work and to accept people for who they are but when I am out on the street, I don’t know who you are. I know how to survive. I don’t know why I got thrown out of the house at 14 or why no aunt, uncle, brother or sister would give me a place to sleep,” said Tony. When Tony was outreached by Mental Health America of Los Angeles’ (MHALA) Homeless Innovations Project (HIP), he was diagnosed with chronic obstructive pulmonary disease (COPD) and heart disease. This qualified him for immediate housing as one of Long Beach’s most vulnerable who are living on the streets. The HIP program serves the chronically homeless who are diagnosed with both mental and physical health problems. Eligibility for the program is based on those who have been on the streets for at least one year and who are in danger of dying without urgent care. 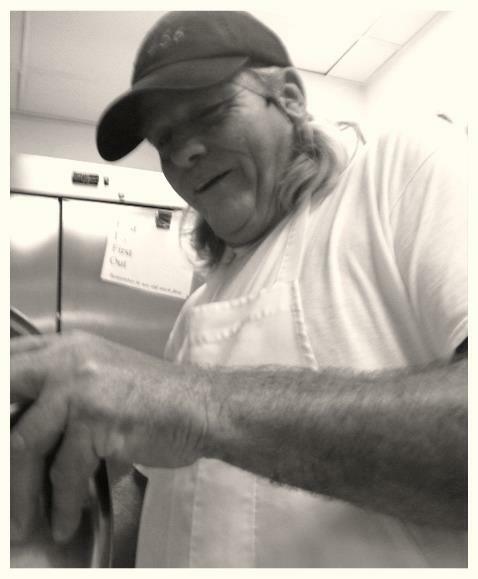 Tony has been working for MHALA’s Village Employment Program in the Village Cookie Shoppe/Deli 456 since April of this year. “Susan and Chef Rafael, they got a heart of gold. Those people give, man. Same with the HIP program. I’ve been having a hard time believing that I deserve it. I have a constant battle in my head. Give up, don’t care,” said Tony. Susan, Rafael and the HIP team all believe in him and he does not want to let them down. “I love the word humility, that’s all you need to have in yourself. Find your humbleness,” said Tony. Having fought addiction for many years, Tony has chosen not to take psychiatric medications in fear that he will become addicted. Tony has lived in his own apartment for six months. “It’s cool man. At first I was having trouble feeling closed in but now I feel okay there. HIP makes you feel like it is yours. It’s a nice clean place. I’ve got nothing but mad love for HIP, if you would call it that. I don’t understand why I deserve it,” he said. The furniture in Tony’s apartment is sparse, except for a house plant and a recliner that he uses as his bed. “I have to sleep upright in order to breathe. It’s a trip — my body and mind — I cannot work too much. I overheat and it gets hard to breathe. I am on medication for COPD and I got my blood pressure under control. I don’t want to be homeless. I can’t do that anymore. I can’t handle it mentally or physically. My body is giving out and I know it,” he said. Tony enjoys his job in the Village Employment Program and hopes that more people get the opportunity to work in the worksites. “I know the value of a dollar and I try to save the deli money when I work there. If they don’t make money, there won’t be jobs for no one. I wish there were more people like Chef Rafael and Susan in the world. We should all help people, man. There are a lot of people who need this. They talk to me like a human being and they give me advice. They are good in my book,” he said.